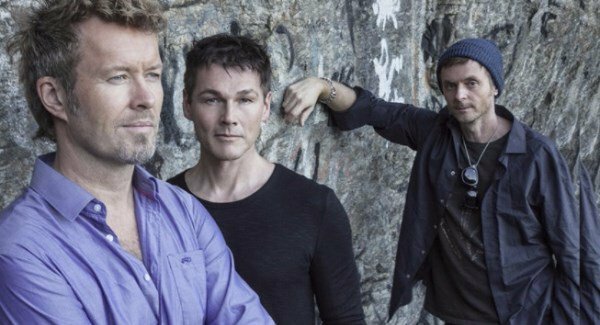 Norwegian pop legends a-ha have announced that they are to bring their Electric Summer 2018 Tour to the banks of our own lovely Lee. That’s right, Norway’s biggest musical export, although DJ/producer Kygo is fast chasing their tails, will perform Live at the Marquee Cork on 12th June next year. One of the biggest-selling global pop-phenomena of the 1980’s, the multi-Platinum selling triumvirate of Morten Harket, Mags Furuholmen and Pal Waaktaar-Savoy will perform some of their greatest including Take on Me, The Sun Always Shines and Bond theme The Living Daylights. Probably best known for their wordwide number one hit Take on Me, the video for which – possibly one of the best of all time – led the zeigeist in music video technology back in the day, a-ha chalked up several best-selling albums including their international chart topper Hunting High and Low, released in 1985. Most recently the band released an MTV Unplugged Summer Solstice album, which featured a stunning collaboration with fellow Norwegian and Highasakite lead Ingrid Havik, and the 2015 Cast in Steel album. The 2018 Electric Summer Tour will see a-ha, complete with new band, bring their full electric set to venues across Europe, promising vibrant live shows with set-lists comprising a mix of their biggest hits with some new material. Now that’s one ‘Back to the 80’s’ trip, you can’t afford to miss.